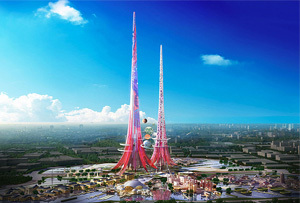 The pair of needle-like skyscrapers will tower 1km above the city of Wuhan in central China. According to architects Chetwoods, they're designed to double as smog filters. What do you do when you're given the brief to design a pair of towers in the most populous city of one of the most polluted regions in the world? 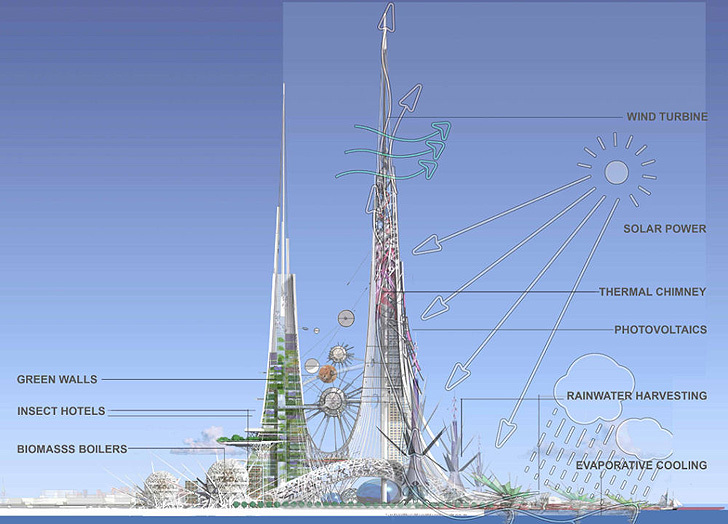 Why, try to solve all its problems, of course: British firm Chetwood Architects has unveiled plans for a pair of needle-like towers 1km high - almost150m taller than Dubai's Burj Khalifa, which incorporate just about every possible eco-measure available. 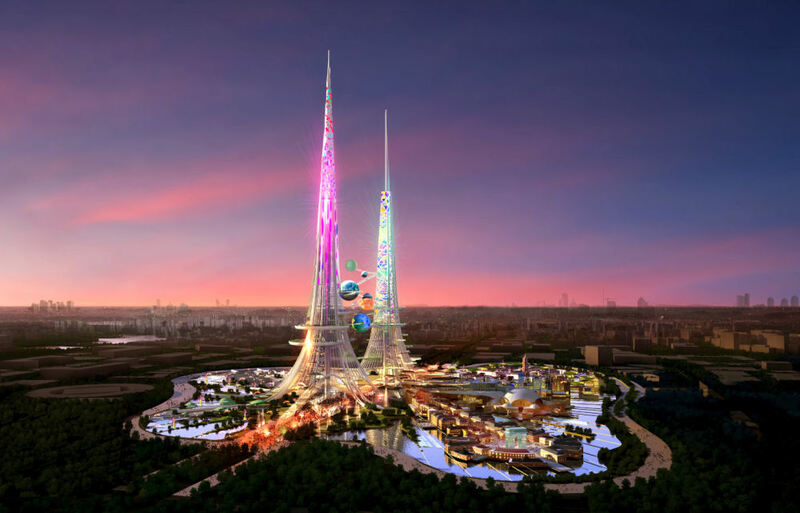 The Phoenix Towers - which look like a pair of futuristic stalagmites - will begin construction in the central Chinese city of Wuhan in the next year. Their design includes wind turbines, thermal chimneys, solar panels and rainwater harvesting facilities, as well as a massive vertical 'green wall' and even insect hotels. 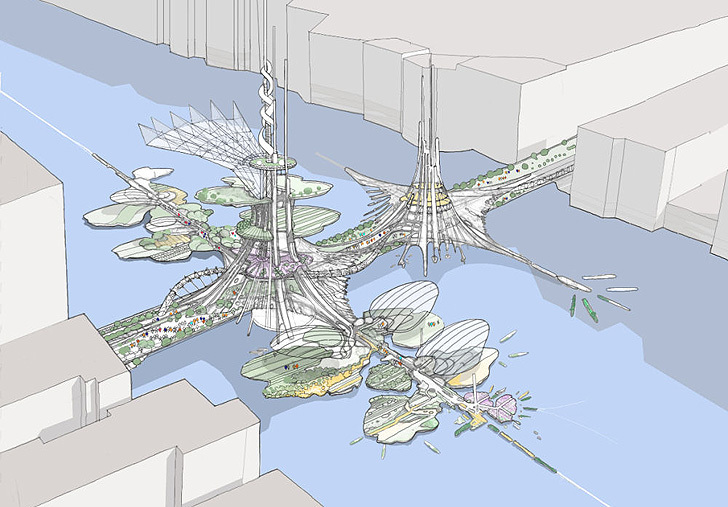 The towers (which represent the dual genders of the phoenix, as per Chinese legend), will stand on a 47-hectare site on an island in the middle of a lake (Wuhan is known as the 'City of 1,000 lakes', so they're pretty hard to avoid). The construction will act as a 'landmark within an ambitious master plan for Wuhan', said the architects, adding that the emphasis is on the 'harmonious combination of 21st century Western technological know-how and experience with Chinese tradition and culture'. What's interesting is that Wuhan has recently been designated an environment 'Super City' by local and central Chinese governments. Which suggests that, after its recent smog problems, the country has begun to take environmental factors seriously.